Ideal for vital telecom equipment, especially in high-traffic areas where cable is constantly being added or removed. Simple-to-install device keeps penetrants protected and organized ( 0% to 100% fillable) throughout the lifecycle of a building. Provides up to 3-hour fire protection. 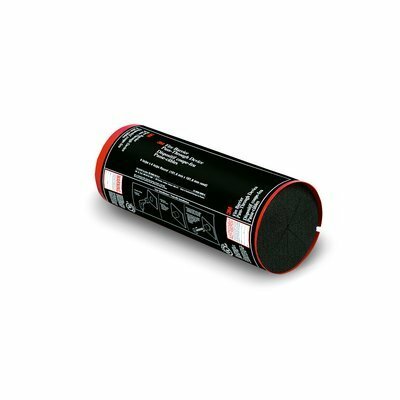 3M(TM) Fire Barrier Pass-Through Devices use a unique fixed fire-rated intumescent material which works in conjunction with a foam smoke seal and optional mounting brackets. In the event of a fire, intumescent material quickly expands to seal the inside of the device, helping to prevent the spread of smoke and fire into other compartments. Square devices can be stacked in multiple device configurations for larger cable management and firestop requirements. Optional mounting brackets and additional foam smoke seal replacements (device comes with 2 foam seals) sold separately. Device dimensions: 4 round diameter x 10 length (101.6 mm x 254 mm).